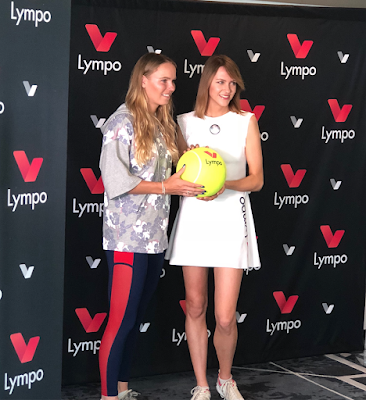 Sports Media Gaming (SMG) are delighted to announce their latest high-profile sports sponsorship agreement direct from the spectacular PR launch in Monaco, as Tennis superstar Caroline Wozniacki becomes a global ambassador of blockchain app Lympo which motivates people to exercise and be healthy. 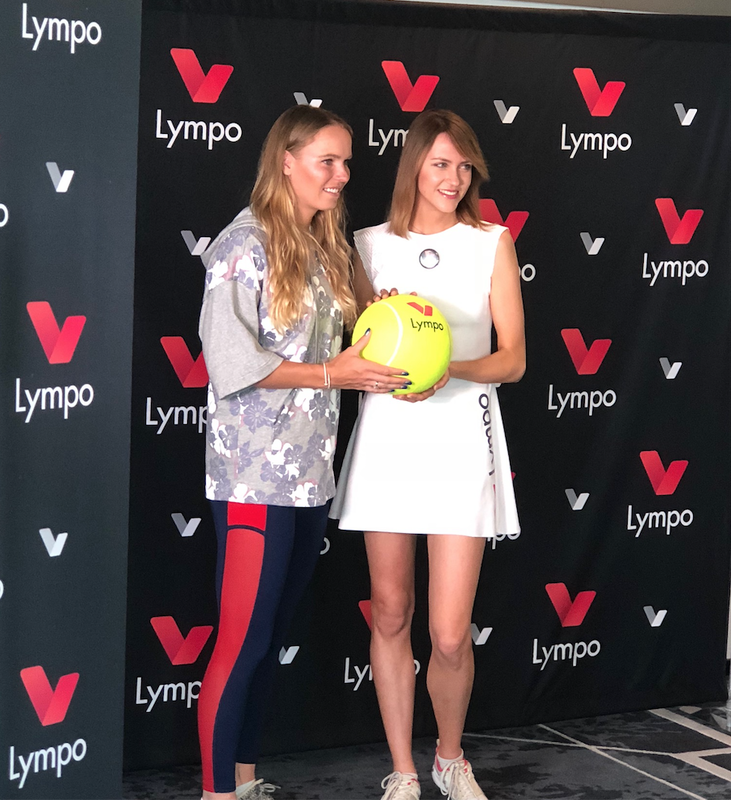 Wozniacki, who won the Australian Open this year, will promote Lympo to her fans, followers and the wider sports community, explaining the app benefits. While people around the world suffer from unhealthy lifestyles, the Lympo app provides motivation to encourage users to take steps to be healthier and happier. Wozniackiwas last month named by Forbes as the World's Most Influential Female Athlete– she is ranked 8th on the list of the Most Powerful Women in International Sports 2018– and chose to become Lympo app ambassador to further enhance her fitness mission. Wozniacki, who is the first ever female athlete to endorse a blockchain product, said: “Sport is my life and what motivates me every morning when I wake up to work hard and be the best I can be. I believe in Lympo’s goal to encourage people to exercise and be healthy. Lympo will utilise the data we track on our phones and wearables to reward LYM tokens for achieved fitness and mindfulness goals. While hundreds of millions of people record their fitness and wellness data on multiple running, exercising, diet, meditation, sleep tracking and other apps, their users cannot aggregate and store, share or monetise this data. Lympo employs blockchain technology and rewards users who meet their milestones, for example, running 5 miles a week, with LYM tokens. The tokens can be spent to buy further fitness and wellness products and services. Lympo users will also gain rewards from allowing health and fitness industry players to access their data for data enabled decisions in a wide range of applications. Lympo is led by another strong female, fast emerging tech star and Lympo CEO, Ada Jonuse, who added: “Lympo will motivate people to be healthy and unite the biggest fitness and healthy lifestyle community in the world. Caroline Wozniacki is an inspiration for millions of people globally and Lympo see her leadership as an example we want to follow. Stephen Pearson of sports marketing agency Sports Media Gaming (SMG) added “we are absolutely delighted to have brokered this long-term partnership between such a high profile star as Caroline Wozniacki and cutting edge blockchain APP Lympo. Lympo is a health and wellness ecosystem, with a wallet that rewards users with Lympo tokens (LYM) for sharing and achieving their health goals, including all industry players: personal trainers, gyms, sports and wellness businesses and health insurance. By tracking health-related data on smartphones and wearables, Lympo aims to build healthy lifestyles and grow the Lympo community. Tokens earned by users can be used to pay for fitness, wellness and other health-enhancing products and services. They will also be able to interact with health insurances, sports and wellness businesses and employers who want to encourage their staff to remain healthy. A passionate team of entrepreneurs, sports and health professionals and a versatile and experienced board of advisors including experts on blockchain for science, health specialists and technology experts make Lympo a frontrunner of the blockchain innovation. Lympo is backed by the biggest blockchain names such as Sonic Zhang, Bill Angelidis, Antanas Guoga. It has been actively forming partnerships with elite sportspeople, including world champion Olympic track and field athlete, Andrius Gudžius and fitness trainer Jordan Travers. The aim of the Lympo Blockchain for Sports Foundation is to support sporting events and initiatives around the world, while promoting the Lympo app and encouraging healthy lifestyles. Some of the Lympo tokens will be reserved for the Sports Foundation, which will be overseen by a board made up of famous athletes, Lympo partners and leaders in sports communities from various countries. Lympo token holders owning a considerable number of tokens will be invited to vote on funding proposals. Lympo is also creating awareness by sponsoring major sporting events, such as the world’s first ever Blockchain Marathon that was held in Lithuania in September 2017. All 15,000 marathon runners involved in the event were given LYM tokens for participating. Lympo recently appointed blockchain investor, European member of Parliament and philanthropist Antanas Guoga as head of its Blockchain for Sports Foundation.